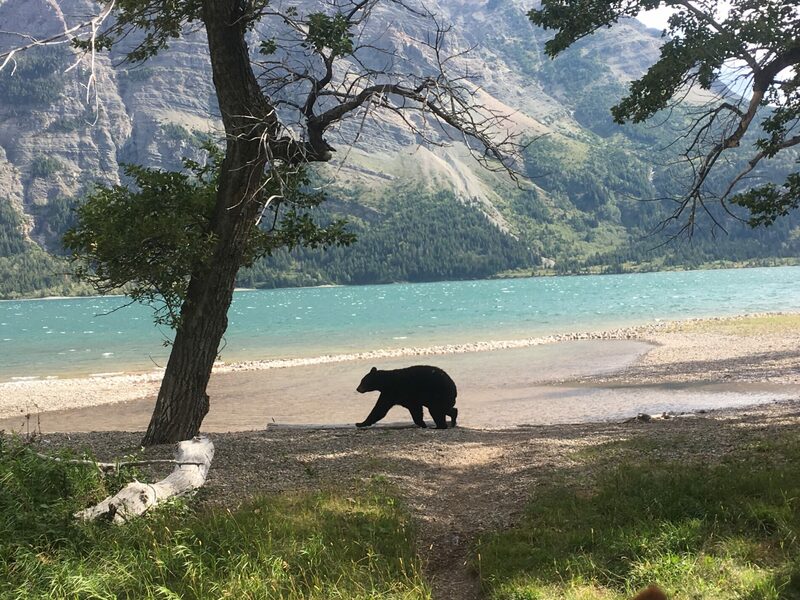 The 2017 summer at Alpine Stables concluded with a lightning strike just west of the Park becoming the Kenow Fire and burning through much of Waterton Lakes National Park in September. The wildfire destroyed our barns, corrals, and home. Everything that wasn’t evacuated was lost including tack, feed, and nearly 50 years of memories for the Barrus and Watson families. All the horses and people remained safe. As a result of the terrible devastation we will only be able to operate at *a very limited capacity for the 2018 year*. This is due to the fires effects on so many trails as well as the lack of buildings and barns. Due to Parks Canada regulations, rebuilding is not likely to be underway until fall of 2018. We are uncertain which trails will be safe and passable at this time, especially for longer day rides. 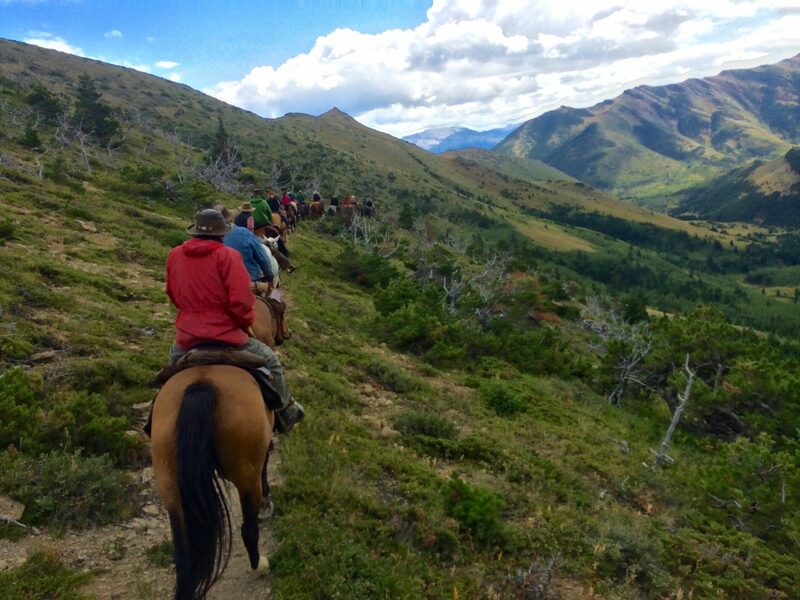 We regret that we will not be able to offer overnight rides for the 2018 summer in Waterton due to trail closure. The Barrus and Watson families are grateful for all the support we have received during this incredibly sad time, and we look forward to riding with you again in the future. For the 2018 year we are asking for all riders to reserve ahead, as we may not be able to accommodate walk ins or very large groups. *At this time the only day rides that will be available for the 2018 summer will be Vimy, Lion’s Head, and Wishbone. All other day rides are currently closed due to the Kenow wildfire and will re-open as trails are deemed safe and passable by Parks Canada. 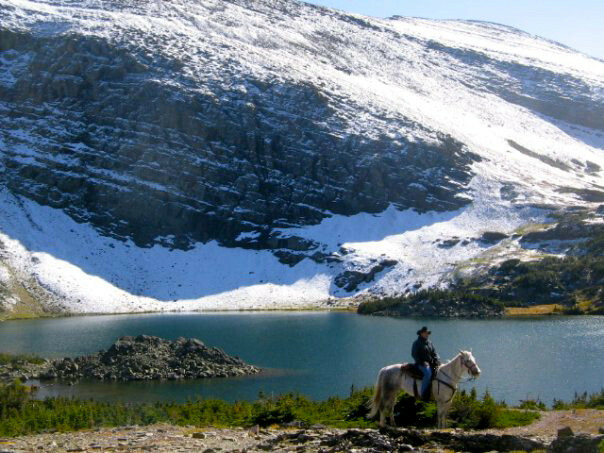 See wildlife, alpine habitat and wildflowers galore, meander through wooded trails, or climb to the tops of the mountains on a good horse. 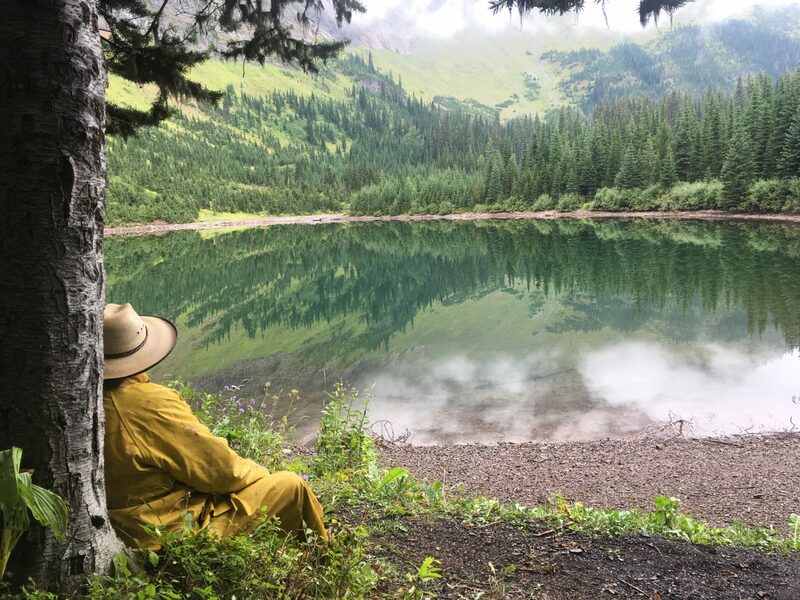 Our friendly guides enjoy sharing stories of local history, and identifying wildflowers and wildlife habitat. 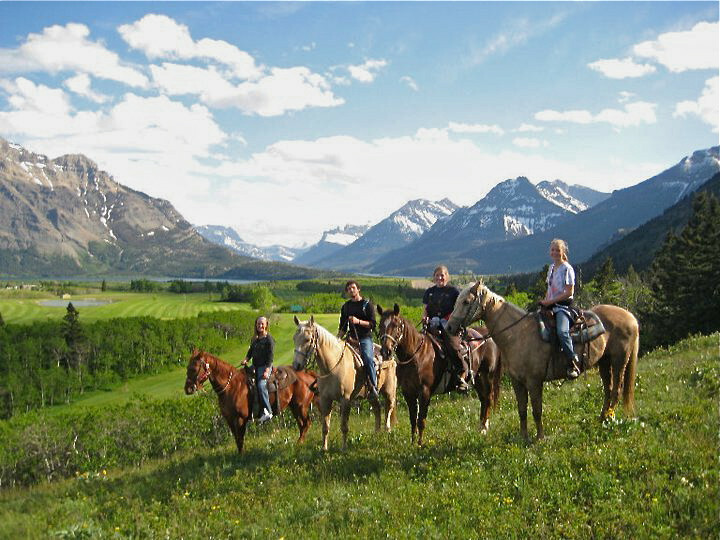 Alpine Stables is a family operation established in Waterton since 1969. 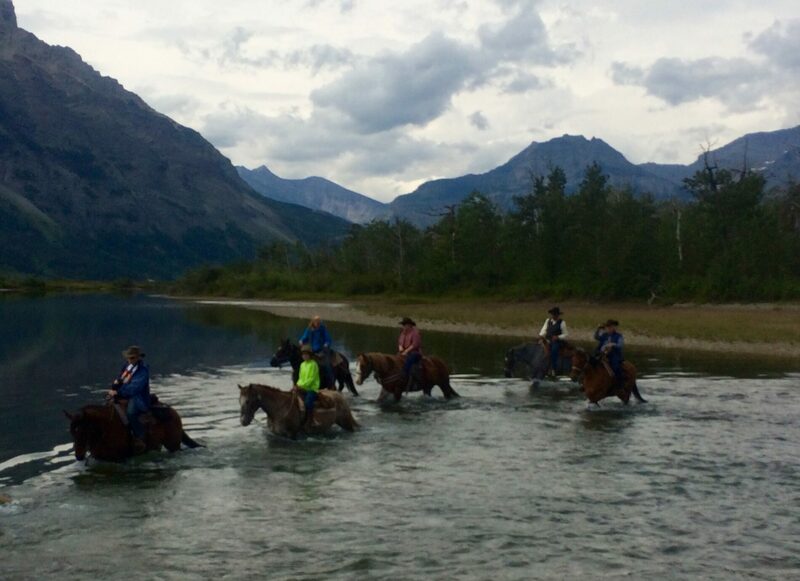 Dee and Lorna Barrus and their young family began with 25 to 30 good ranch horses and a desire to show visitors the splendors of the Alberta Rockies. 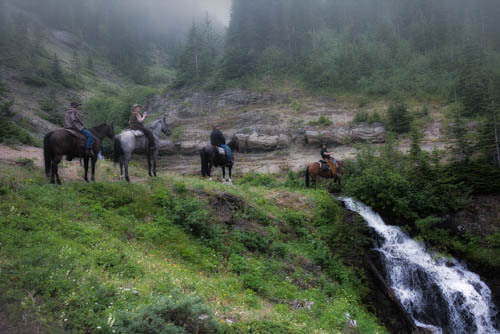 Dee’s ranching savy, tracking and trapping experience, love of the wilderness and his adventurous spirit combined to ensure a memorable ride, whether of one hour or five day duration. This tradition is carried on by their capable and enthusiastic family, now into the third generation. 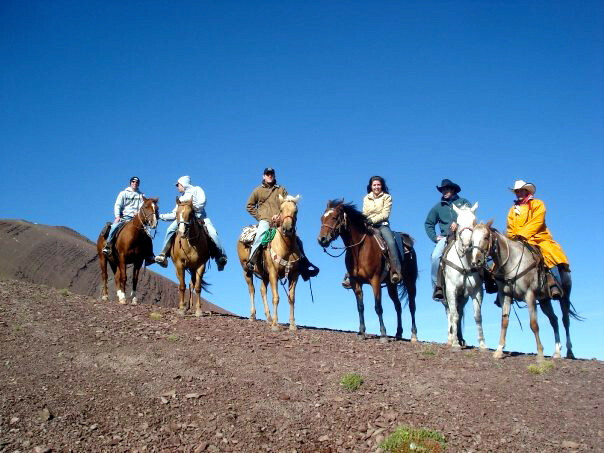 Today Alpine Stables has fifty head of experienced mountain horses ready to accommodate both beginners and the most experienced riders. 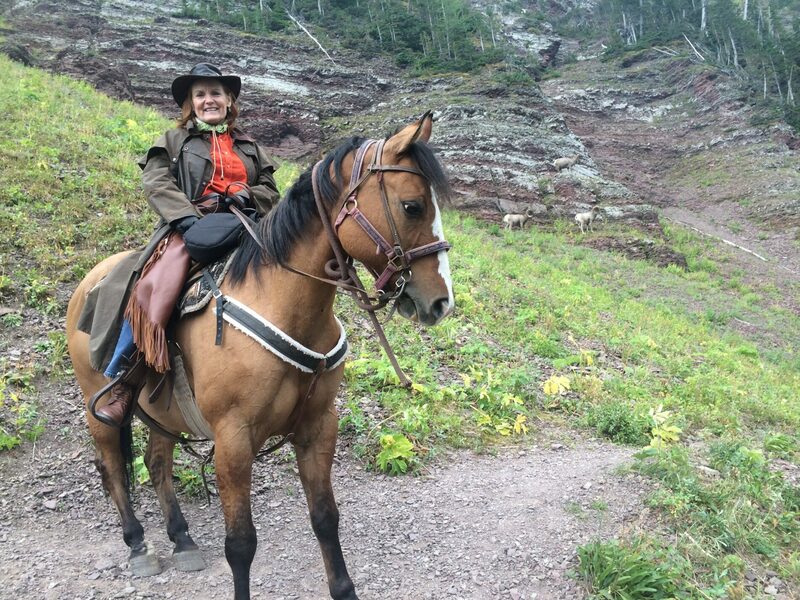 There are 200 kms (120 miles) of trails in Waterton Lakes National Park, ranging in difficulty from a gentle rolling ride to steep climbs to the breath-taking tops of mountains! 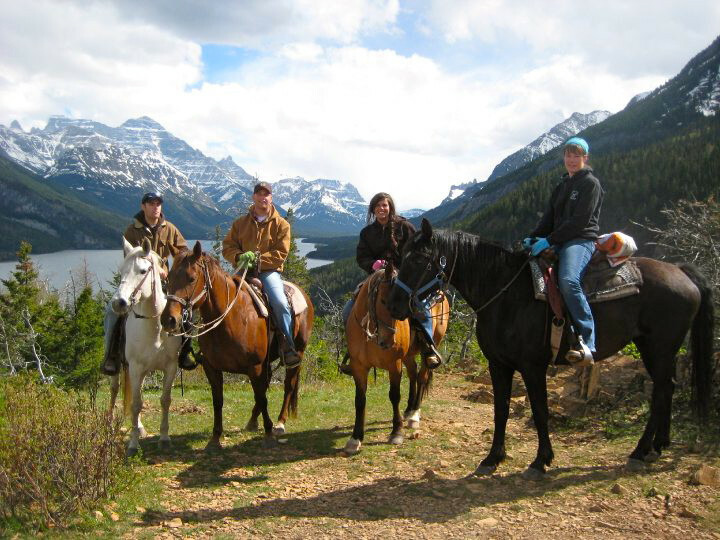 Alpine Stables offers guided horseback riding in Alberta and camping on horseback in Canada. Ride prices, ride descriptions, departure times, and many other commonly asked questions are included in this website. For other inquiries, or to book your ride please contact us.